CAN YOU HELP & MAKE A DONATION? The Group was founded nearly 70 years ago and we have been an important part of our local community ever since, supporting the young people of Bengeo and Hertford. 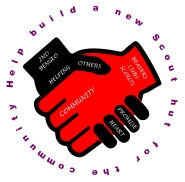 The aim of Scouting is to support the physical, social and spiritual development of young people whatever their ability. Fun and adventure are at the heart of everything we do, with the emphasis on empowering young people to make a positive impact on society. Fundamentally it’s about getting involved, learning from experiences and challenging yourself through adventurous activities especially in the outdoors. To ensure we can continue to provide these activities for generations of young people to come we need to re-new our existing on-site premises which are over 50 years old. We envisage that a new building will be available for all community use and offer a greater range of facilities than currently available.We are therefore asking for your help to raise the money needed. Perhaps you were once a Cub or Scout and want to help give something back to help future generations. If you could make a donation it would be greatly appreciated, as the saying goes, every penny counts! Our Crowdfunding Page is linked below. Thank You.